How drab and grey this postcard is compared to yesterday’s Capri. 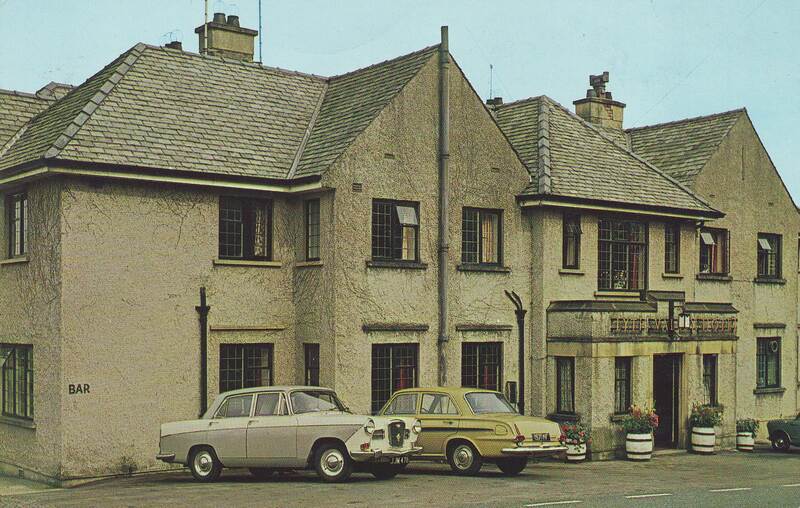 The Lyth Valley Hotel in the Lake District with Wolseley 16/60 and Vauxhall Victor FB. Drab and grey? Forget the Capri postcard for a while and have a second look at this one. As a photographer I would enjoy the colours of the cars echoed in the background: Wolseley’s white and lilac-greyish match the four tuns and the paint on the left wall, while the Victor’s light mustard is repeated above the entrance!